Pug pack, roll out! This cute pug has cool down to an artform. 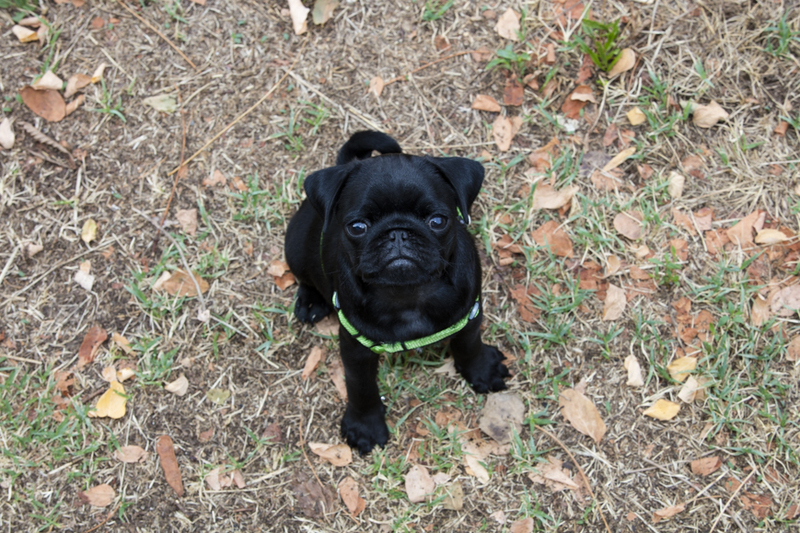 It’s time to get out and enjoy a beautiful fall day with your favorite cute pug! What do you mean we’re out of pumpkin spice snacks?! Now that fall has arrived, we are excited to embrace all of the fantastic things that come along with it! We’ve been stepping on crunchy leaves, enjoying the cool, crisp air, and of course indulging in the flavors of fall. Make sure to bring enough snacks to share with your best friend! 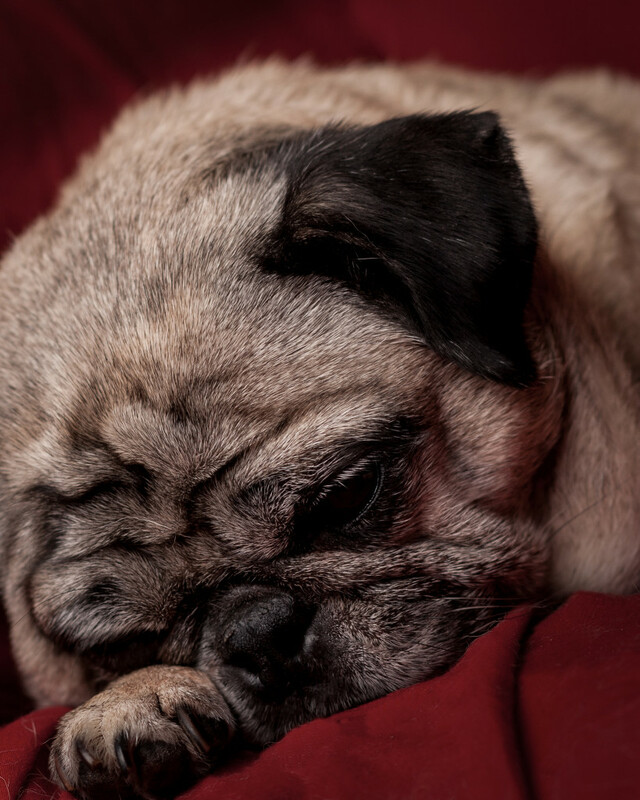 After a long week, even your snugly pug may be feeling a little weary. Get ready for a restful weekend! 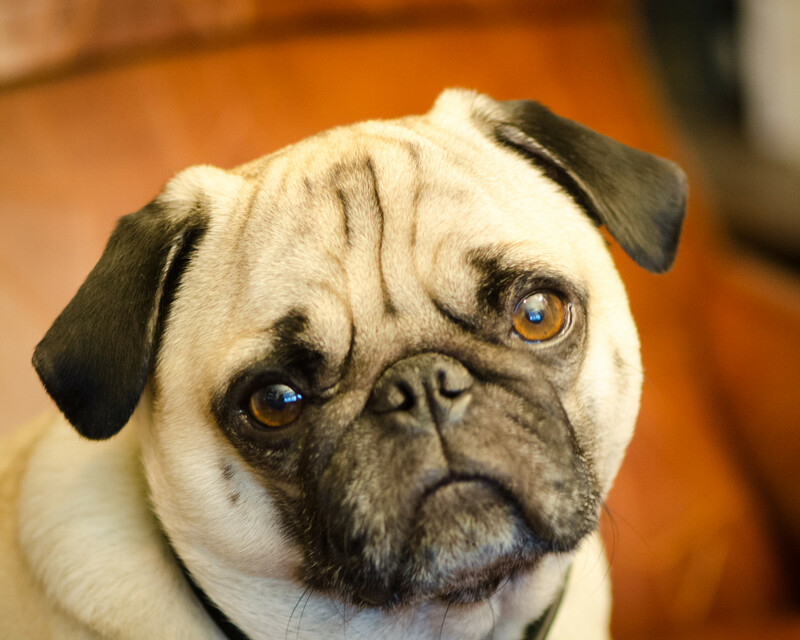 What is a Pug Box? A monthly box of pug goodies! 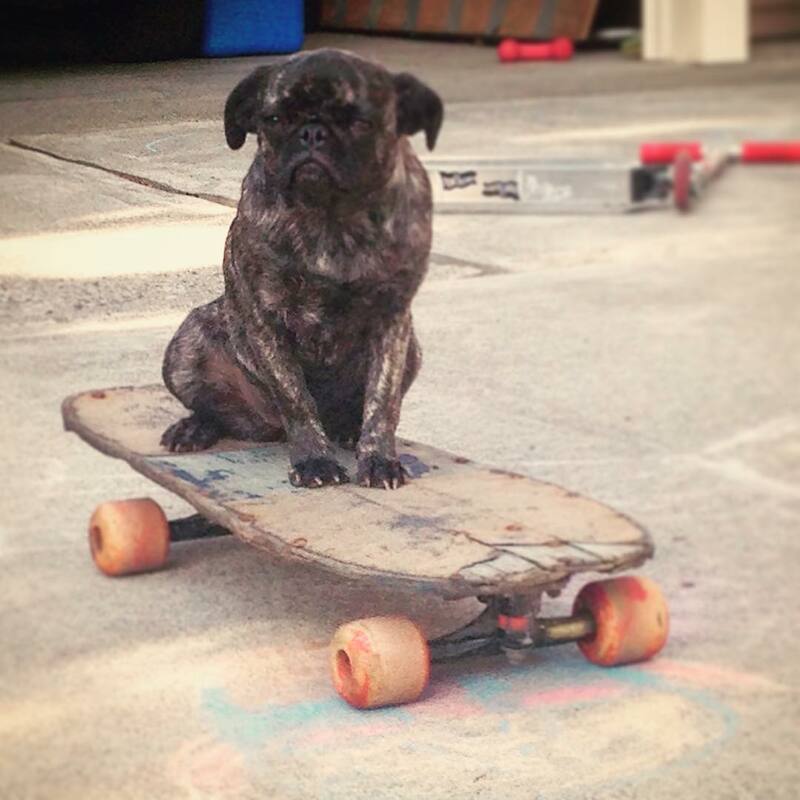 Pug test, pug parent approved. Every month, we work with Nicki (the incredible test pug and Chief Pug!) to select fun toys, healthy treats, and great pug stuff for pug parents. It’s important to us to donate a portion of every sale to a pug-support non-profit. 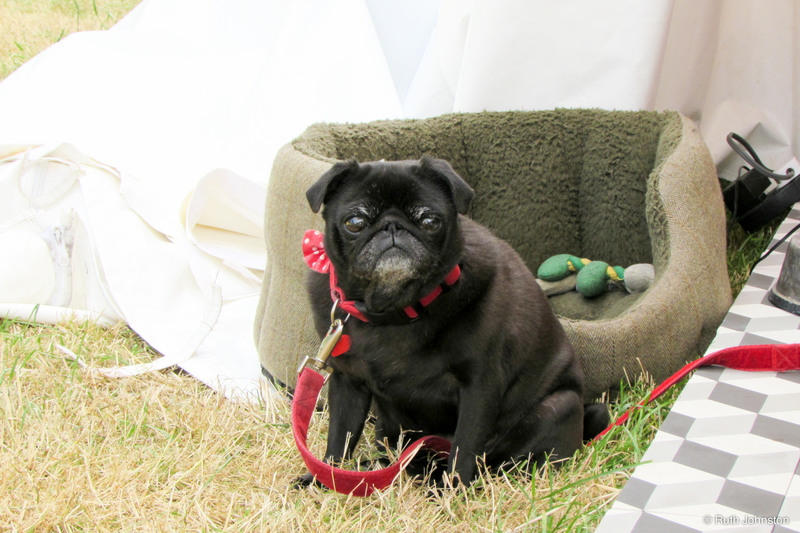 After all, Nicki is a rescue pug herself! 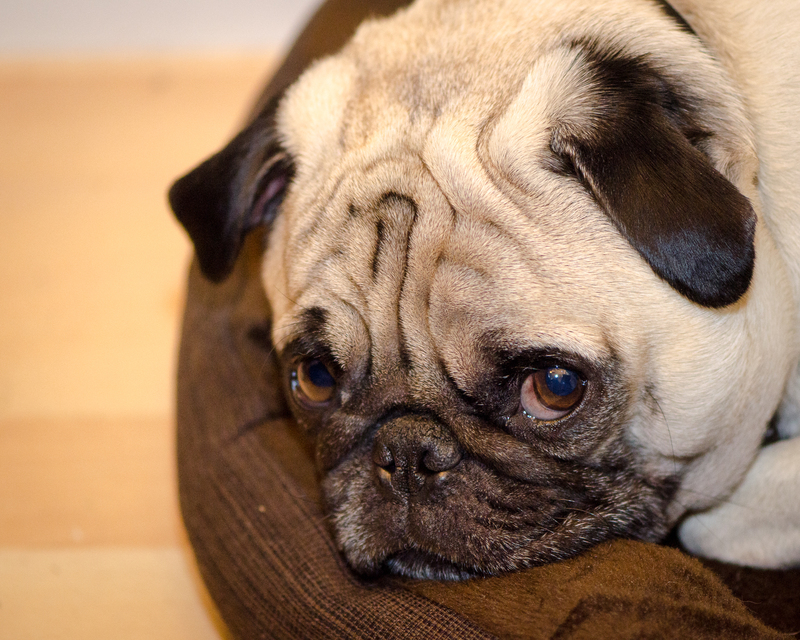 We want the experience to be amazing, so we’re not quite ready to send the first round of pug boxes out yet. BUT! you can sign up here if you’d like us to keep you up to date on our progress. 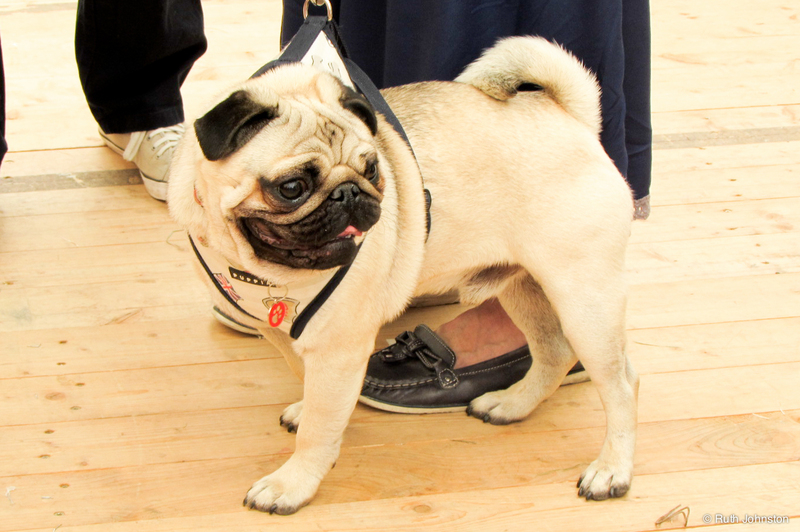 Such a well behaved pug patiently waiting for his turn to say hello to new friends! 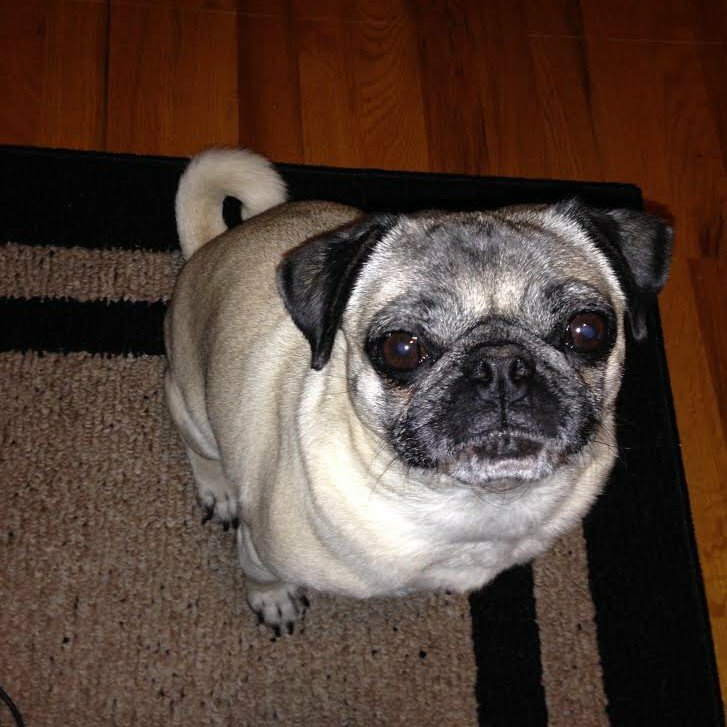 It’s hard to leave the house when you have a cute pug like this begging you to stay home just one more day to play! 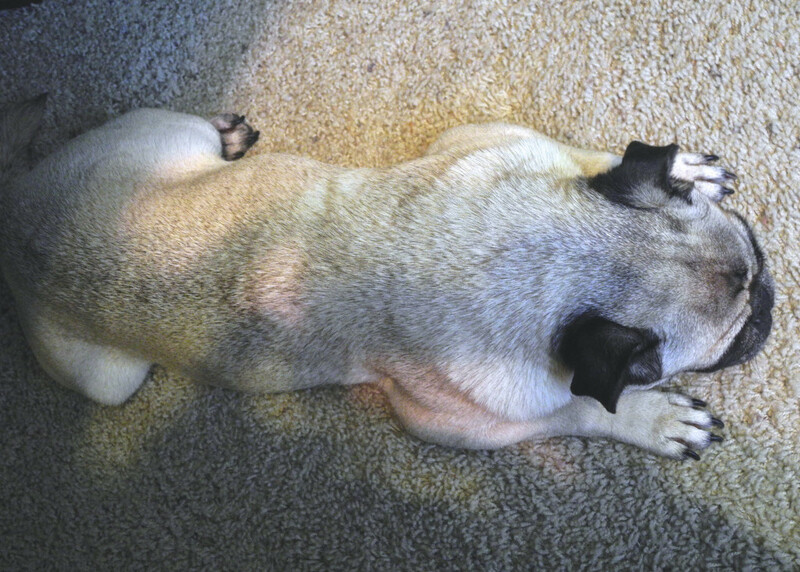 Cute pug camouflage almost complete! Pugs require a certain amount of beauty rest to maintain their boundless enthusiasm and heart-meltingly cute demeanors. 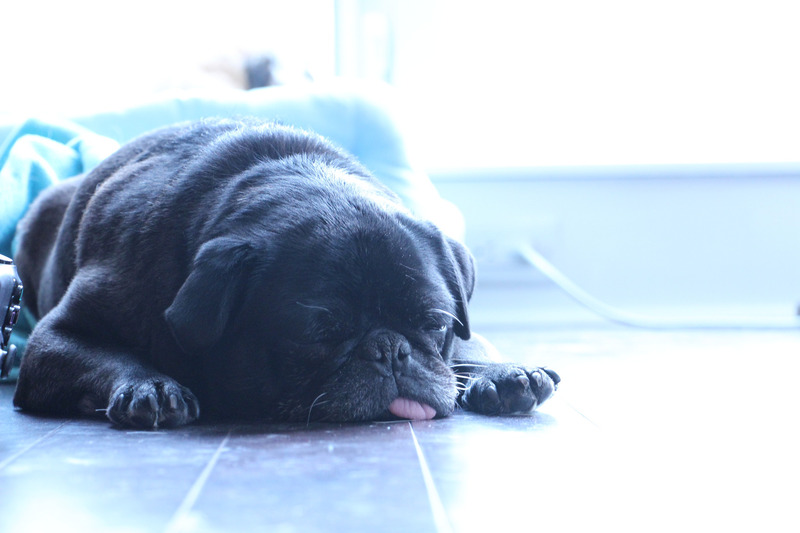 This pug is squeezing in an afternoon nap to get powered up for the rest of the day!